Gaylord Opryland Hotel was the host for the 2011 Junior Beta Club National Convention. Students, sponsors, chaperones and parents from many states arrived at Opryland Hotel for five days of competitions, campaigning and fun. 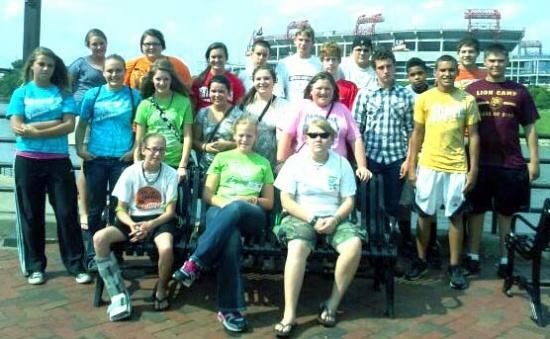 Cannon County was well represented at National Convention with Beta Club members from each school attending. Mary Neall from West Side won at the state level in November in Photography Division to compete at National Level. Kaylee Hayes from Woodbury won at the state level in Essay Division to compete at National Level and from Auburn Elementary, Marshal McReynolds our Tennessee State Beta Club Reporter was elected at this convention to become National Beta Club Reporter. Congratulations to all students competing and participating in the activities at National Convention. A big "Thank You" to our Principals, Teachers, Students and Communities for supporting the Junior Beta Clubs in Cannon County. Woodbury students attending were; Ashley Swoape, Haily Peterson, Ashley McVay Kaylee Hayes, Breanna Blassingame, Alana Paschal, Alison Smith and Cede Loftis. East Side students attending were: Allan Robinson and Case Isenhart.